Malcolm M. Crosland, Jr. Esq. 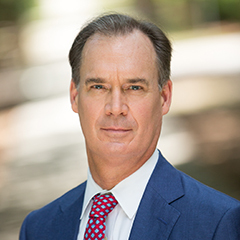 Charleston, SC (Law Firm Newswire) March 18, 2019 - Steinberg Law Firm’s attorney, Malcolm Crosland, was the recipient of the 2019 South Carolina Leadership in Law Award. The Leadership in Law Award is presented to attorneys who have realized success in their law practice, and made lasting contributions to society and the legal profession. Candidates for the award are nominated by their peers and selected by an independent panel of legal professionals. Crosland, a Charleston native, joined the Stenberg Law Firm three decades ago. In his career, Crosland has represented working people and protected injured people and their families. The attorney has represented his clients in state and federal courts. Crosland has been recognized by Best Lawyers in America and SuperLawyers. Also, he has earned the A/V rating with Martindale-Hubbell for his ethical and professional standards. Crosland has devoted his career to defending the rights of injured workers. In doing so, he has served, as president or a member of the boards and executive committees, in numerous organizations like Injured Workers Advocates and the Workers Injury Law and Advocacy Group. Crosland has also dedicated himself to charitable organizations. He served on boards and committees of organizations such as the Brain Injury Association of South Carolina, the Barrier Islands Free Medical Clinic and the Lowcontry Aids Servers. The South Carolina Lawyers Weekly Leadership in Law held its yearly awards reception on March 15, at the Francis Marion Hotel in Charleston. Crosland was among 30 award recipients honored at the event. The Steinberg Law Firm is pleased to have Crosland among its attorneys, and congratulates him on his much deserved award. 118 S Goose Creek Blvd.